Think of country farmhouses and English villages, homes with gingerbread trim nestled in a wooded area with flowers climbing trellises and birds playing in the birdbath. Making a garage door look cottage style can be achieved in an obvious manner, or with some subtle touches. Either choice can change the bland modern look of these structures into a charming design from yesteryear, whether separate from the home or attached. As John Monfore of JELD-WEN Windows and Doors comments, "The garage door is key to reinforcing the home's architectural style." Add cottage-style lighting to illuminate the garage door or driveway. Lamps with an old-time lantern design, attached to the building or placed on posts on either side of the door, give the garage door a style from the past. Consider a sloping four-sided or six-sided glass frame for an 1800's look. Copper or black wrought-iron hardware adds to the Old World character. Paint the door a contrasting color from the rest of the garage, such as a white door on a blue, tan or gray garage. For a bold look, paint the door bright green, red or blue against a more understated garage color. Paint only the trim or window frames a contrasting color if you prefer a more subtle look. Create a gateway arch at the beginning of the driveway if you have room and it fits with the yard style. This provides a soft framed appearance for the garage door. The arch will look best if surrounded by trees, so it can blend in as though it grew there naturally. A black wrought-iron arch provides an old-fashioned touch, or you can build a wooden trellis arch for an heirloom design. Building a stone border at the end of the driveway instead of an arch provides a cottage-style look as well. 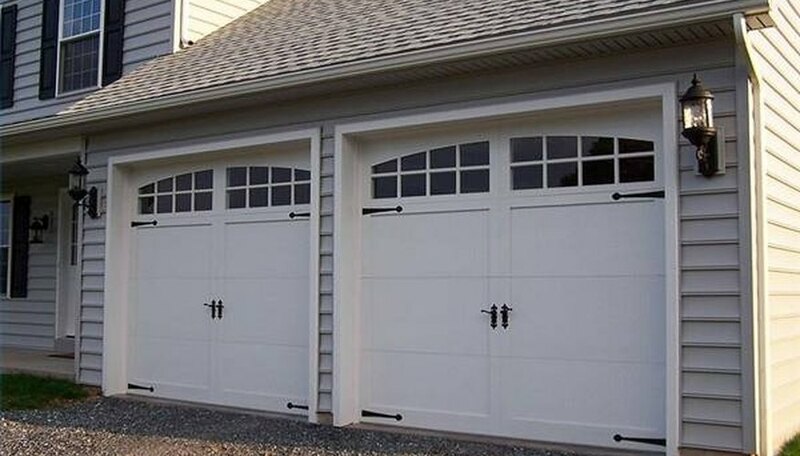 Replace the garage door altogether and install a carriage-style door. This design has two swing-out doors, which can be operated with a remote control. 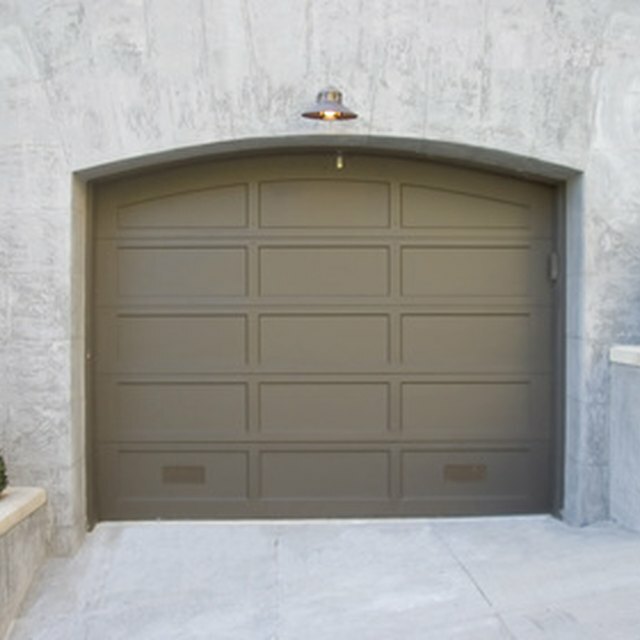 You also can install a modern garage door with an overhead operation which still has the appearance of a carriage door. The door should be wood, or steel with a wood look. Carriage-style doors often have several small windows along the top. Decorative metal hardware provides matching or contrasting accents.